As DevOps continues to be widely adopted by fast-moving organizations, software security needs to keep pace to help accelerate software delivery and not slow it down. Is your software security program up to the challenge? By integrating security into the entire software development lifecycle, enterprises can manage their business risk and guarantee secure software delivery at the speed of DevOps. 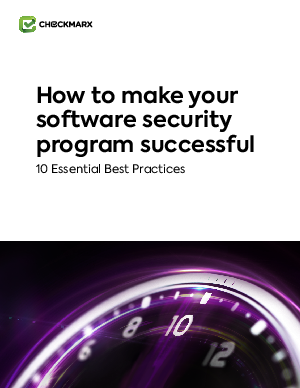 Check out these 10 Essential Best Practices for building and maintaining your modern-day software security program -- from your tools, to your processes, to your people. This eBook will cover the top 10 steps you can take today to help your organization move faster and more securely.